This novel appears to be a response to the public success of Karl Ove Knausgaard and various other writers in the news for the very personal content of their published work. It is presented as a journal noting with lab-technician impartiality the media consumption of 'Ellis': reports on current affairs from television, radio, newspapers and internet, book reviews in the arts pages, films watched on DVD, music listened to on YouTube, all blended with personal details familiar to readers of My Struggle such as toothache, shopping trips and the effects of eating asparagus on urine. They might appear to be sarcastic inclusions when set beside reports of climate change, economic austerity in Greece and the occupation of Palestine; a riposte to similar books in which such issues are more or less absent and thereby perhaps examples of bourgeois indulgence. The contrast suggests itself from the start. 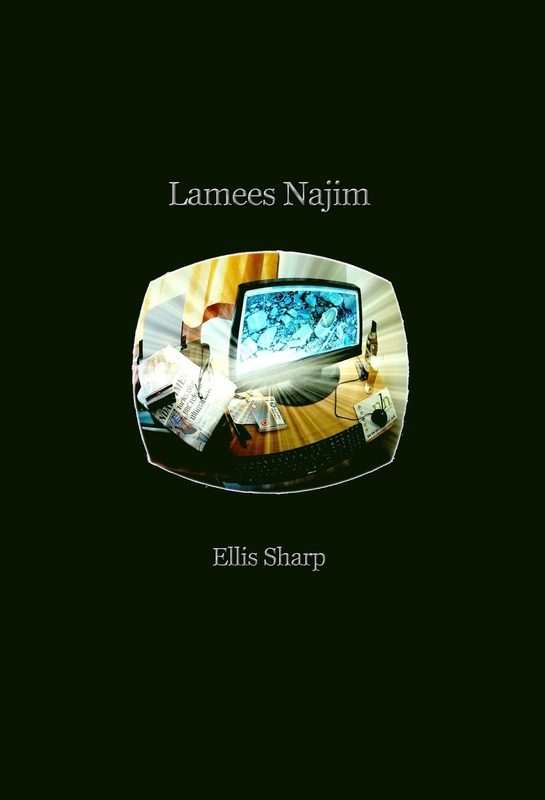 While My Struggle begins with a young Karl Ove watching a news report of a search for a missing trawler and sees a face in the swirling sea, Lamees Najim begins with Ellis watching a report on the BBC news channel about the birth of a royal baby. For him there is nothing stranger than the sound of a voice bellowing from out of shot of the BBC's camera: "BBC, SHAME ON YOU! and "WHAT'S SO SPECIAL ABOUT A BABY?". The narrator observes how this disrupts the genre conventions of royal baby coverage in which everyone smiles and waves little flags and notes the smirk on the anchorman's face as he cuts the report short. Everything is thereby reduced to entertainment and even major world events have the same weight or weightlessness as a three-minute music video or a book about a Norwegian man. If both books can be encapsulated in their opening scenes, with My Struggle narrating a regular, secular life pierced by unbidden religious experiences, then Lamees Najim narrates an equivalent life saturated by news and entertainment media in which resistance and reality is marginalised and patronised as amusing noises off, leaving the self in a state of unrelenting banality and dislocation. 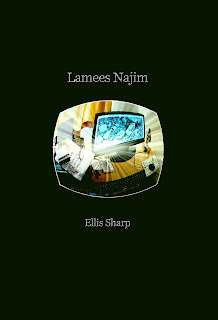 Indeed, online bookshops give Lamees Najim a subtitle that is not in the printed edition: A Novel of the Information Age. This gives a clue to the main title, which is explained only in the final paragraph of the novel. Lamees Najim is the name of a seventeen-year-old girl murdered alongside her uncle Ghassan Kanafani, a Palestinian writer assassinated by a car bomb. In a rare insight into Ellis' inner life, we're told he wonders why her name isn't as well known as Anne Frank's, and the novel might be named after her as an attempt to recover information buried in our age. Or, rather, something more than information. CBR is one of those 'mechanical' writers whom, I believe, readers try and almost instantly give up on. It's a disease which afflicts literary academics, who are by and large not very imaginative or creative. They think because they can see how a fiction works technically that they can reverse-engineer it. The result is a novel which mimics the techniques of literature but has none of its – what can it be called? – soul? While this opinion is as banal and uninteresting as the novels it condemns, its inclusion points to the value of the journal form. Both Lamees Najim and My Struggle were written quickly, which we know from many interviews enabled Knausgaard to bypass the block he felt writing generic fiction. He could not find truth or necessity in that direction. In Lamees Najim, the baby's birth was on the second of May 2015 and my copy of the book arrived five months later to the day. Like My Struggle, it bypasses aesthetic concerns in order to go straight for what lies beyond life and writing in an age of information even as it includes only that which an age of information might comprehend. In doing so it echoes the question heard right at the start, a question coming from the sidelines, out of sight and quickly shut down, the name of someone or something beyond the conventions of news reports and the techniques of literature – what can it be called?